14 January 2017/ By Robin Dopoe Jr. Attention world travelers! It is time to think about a visit to Liberia, Africa’s oldest republic, to enjoy the nation’s intriguing wildlife, stunning scenery, soaring mountains, dense and ancient forests, miles of perfect coastline and rivers to thrill you. Yes indeed, Liberia is a place to be with places to inspire you; this is somewhere to explore natural wonders that will leave you with unforgettable experiences. Liberia has a city that never sleeps – Ganta! It is an ideal destination for tourists based on its array of eateries coupled with a ‘bucket list’ of worthy experiences, unique and diverse neighborhoods, and a potpourri of different cultures that brings the city to life 24/7. Apart from that, Ganta’s location gives it an A-plus approval. 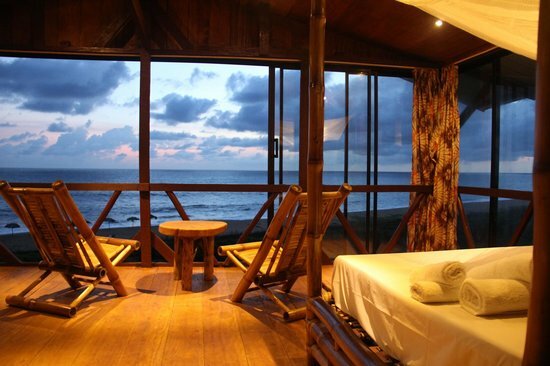 Next door is Guinea and Saclepea, two beautiful places to visit. From Ganta to Guinea is about a five-minute drive, with Saclepea just over an hour away. Two other cities, Gbarnga and Sanniquellie, are about two to three hours away. 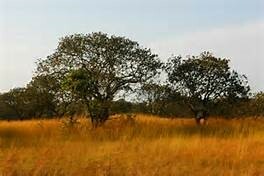 Located in Nimba County, the East Nimba Nature Reserve, which covers about 13,569 hectares and shares a border with Guinea and Côte d'Ivoire, has one of the most remarkable diversities in terms of flora and fauna in the whole of West Africa due to its unique geographical and climatic location. Positioned in a unique environment, the reserve is rich in flora and fauna and some outstanding numbers of single-site endemic species, such as viviparous toads and horseshoe bats. Interestingly, the reserve is a home to other diverse species most notably the Micropotamogale and chimpanzees that use stones as tools. 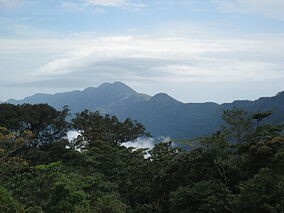 In addition, the reserve holds a very significant plant population and a dense forest covering the lower level of the massive 1,000 m altitude, placed higher up by a montane (Montane ecosystems refers to any ecosystem found in mountains) forest rich in epiphytes. The mountain is an important source of several rivers including the Cavalla and St. John, which plays an important role in the regional water cycle. Good news, the reserve is accessible by road. 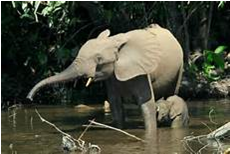 Located in the Upper Guinean forest ecosystem, Sapo National Park contains some of West Africa's last remaining primary rainforest, which is endowed with African forest elephants, pygmy hippopotamus, the West African chimpanzee, the zebra duiker and other wildlife. Named after the local Sapo (or Sao) tribe from Sinoe County, the park consists completely of lowland rainforest, including swampy areas, dryland and riparian forests. Containing some of the largest remaining intact blocks of the threatened Upper Guinean Forest, it provides a stronghold for several globally endangered species, including the pygmy hippopotamus, the West African chimpanzee and the zebra duiker. In 2009, six new plant species were discovered that can only be found in that area, making the park an environmental hotspot and one of the biggest homes to a diversity of mammalian species in the world. Visit Harper, the capital city of Maryland County, the home of Liberia’s longest president, William V.S. Tubman, which still has some of the beautiful art deco houses that represent Liberia’s olden-day architectural design style. Maryland is also one of the hometowns of the Americo-Liberian descendants of freed slaves from the United States who settled in Liberia and declared it an independent country in 1847. In addition, Liberia’s National Museum, built more than 150 years ago, is a national heritage structure that has stood the test of time, many governments, and key and defining moments in Liberia’s history. This building once hosted the Supreme Court and House of Representative and still contains some important historical artifacts including the more than 200-year old dining table given to Liberia's first president, Joseph Jenkins Robertson, as a gift from Queen Victoria of Great Britain, and former president Tubman’s Masonic craft chair. To be continued in subsequence edition….